The best is not good enough for you? 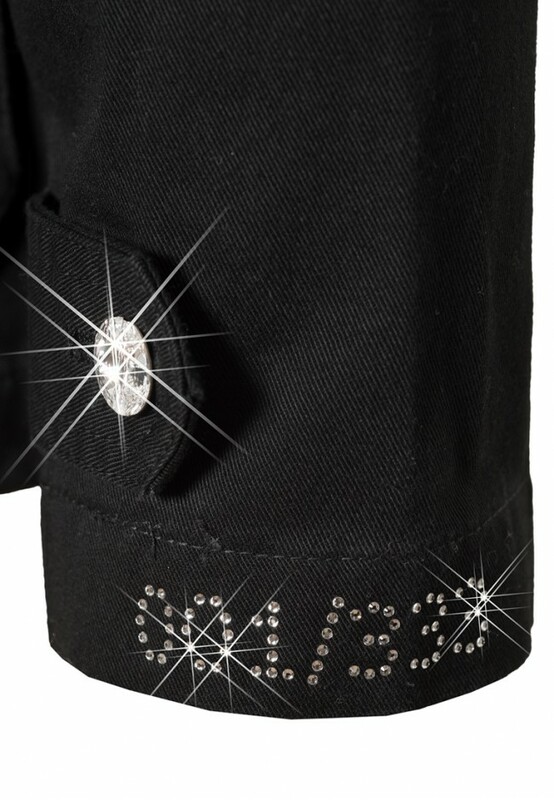 You´re looking for something special...for the incredible? 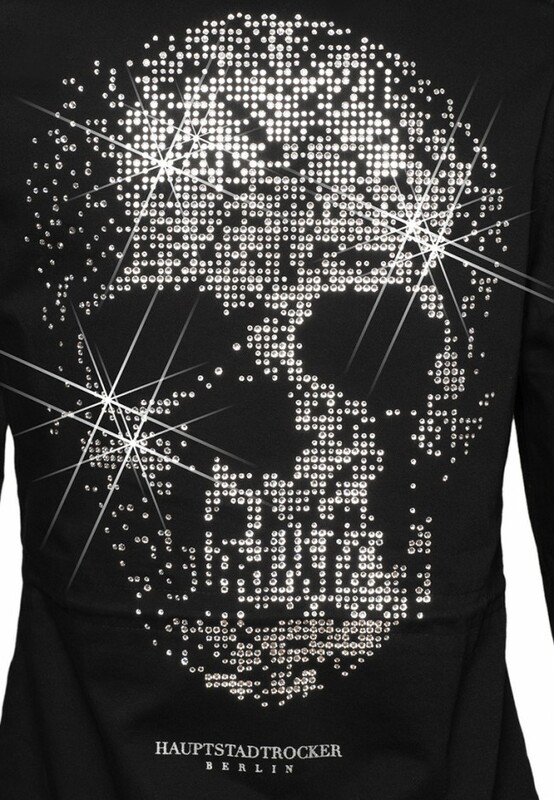 and a wasteful use of our arsenal of Swarovski® crystals. 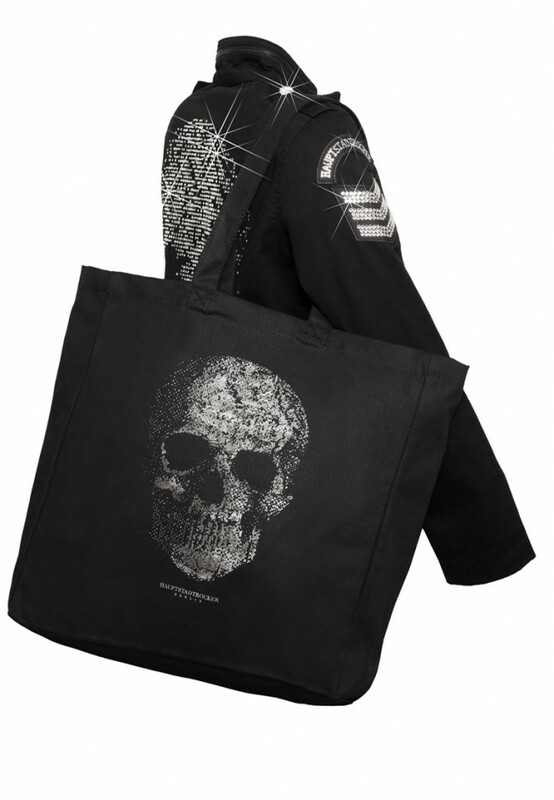 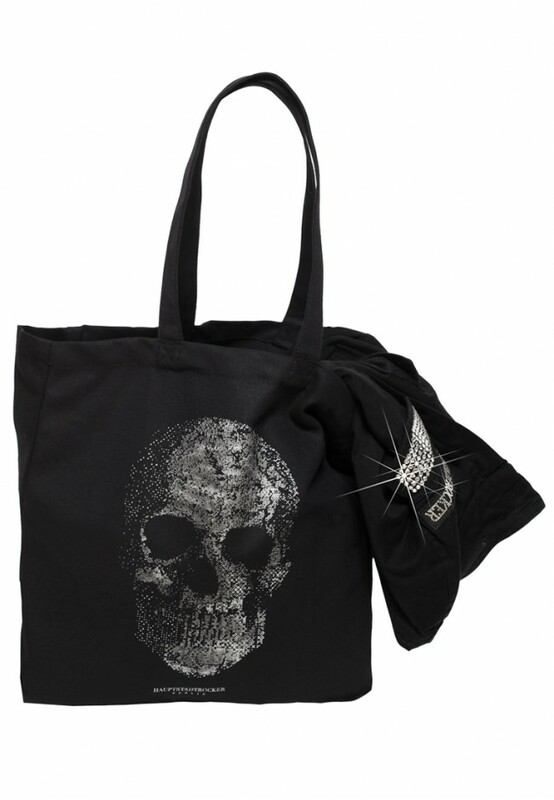 By the way: You´ll get a stylish black death's head bag on top. 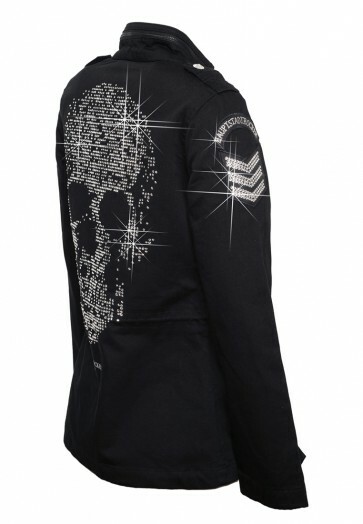 Deep black, cotton army jacket with a slightly fitted cut. 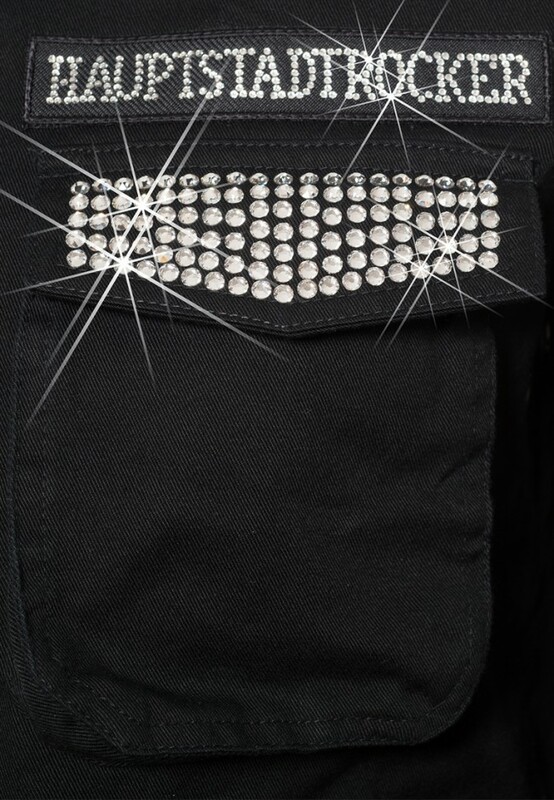 It has a cotton lining and a tunneled ribbon on the inside to adjust the jacket individually, four patch pockets and an inside pocket. 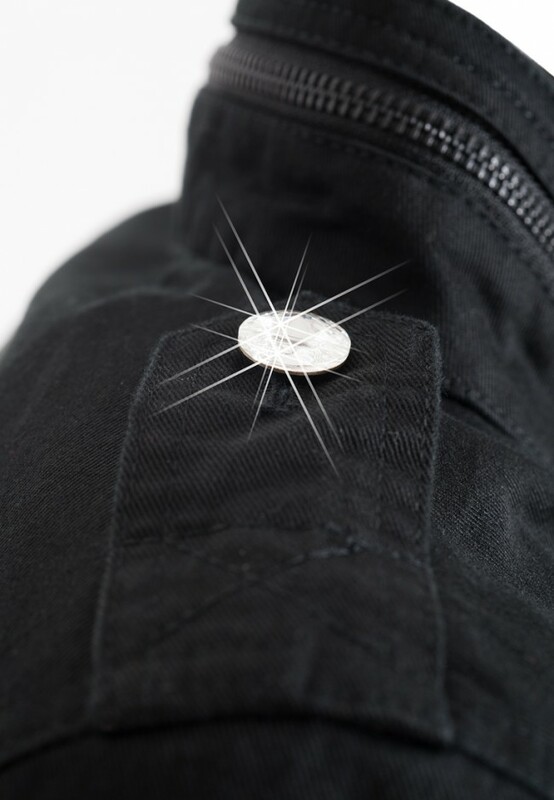 There's a colour-coordinated, high-quality YKK metal-zipper to fasten the jacket. 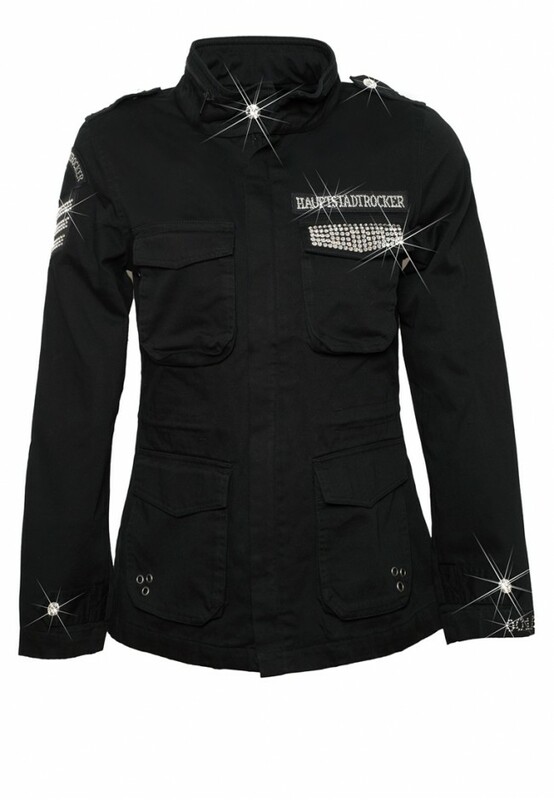 Strictly numbered and limited upon 333 pieces, with shiny death's head buttons. 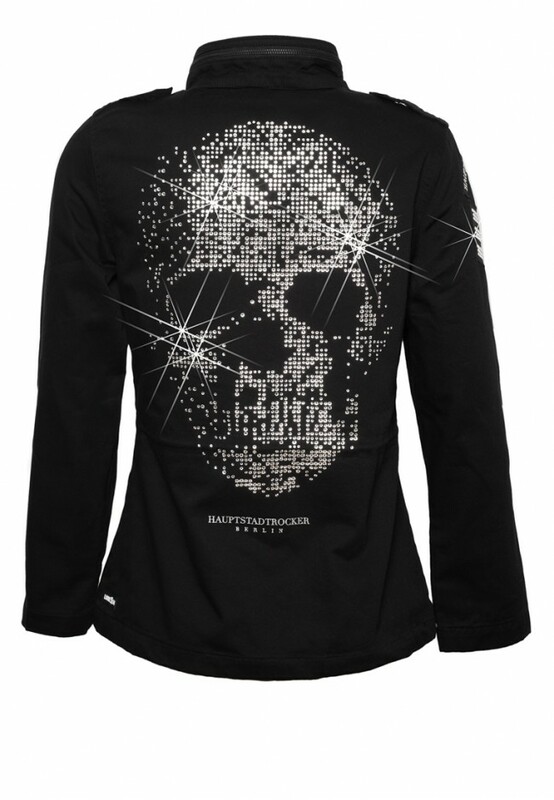 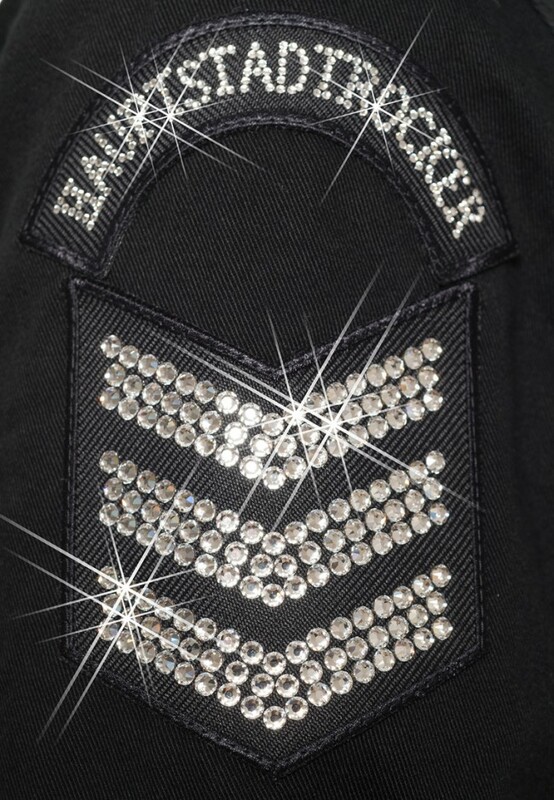 The HAUPTSTADTROCKER-logo, patch, flap and complete death's head are made with with the latest generation of shiny Swarovski® crystals.